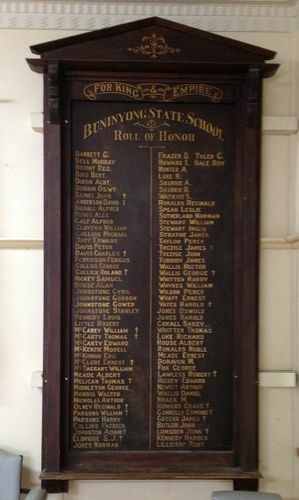 The Buninyong State School Honour Roll contains the names of past scholars who served in World War One. The roll contains over 90 names. The original roll containing 51 names was unveiled on the 10th May 1916 by the President of the Shire, Councillor A.J.Fisken.